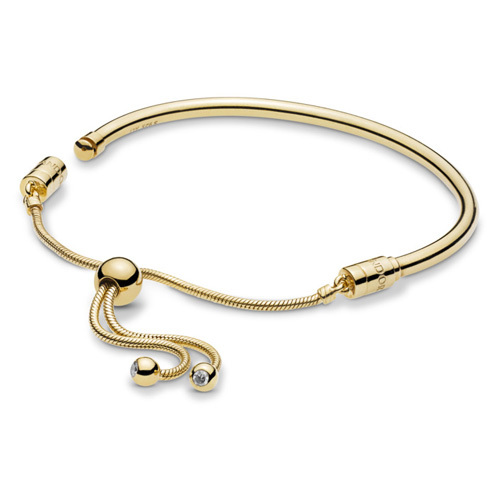 A fusion of our sliding bracelet and bangle, this sleek style in 18k gold-plated sterling silver creates a subtle yet statement-making base for your collection of charms. The polished Pandora Shine ™ piece adapts to fit your wrist perfectly and the ends are detailed with sparkling stones. Sizes currently in stock: 2 - Medium.